Hello everyone! I hope you’re well. To the newbies, welcome to my blog – within, you will find mostly sciencey stuff, but I occasionally stray into more personal stuff too. I’ve already blogged about the What I See project – about imposter syndrome for women in STEM – but I thought there was more to say, so this is Part 2! Since filming the video, the phrase “standing on the shoulders of giants” has been rattling around in my brain, and I realised that I should use this opportunity to introduce you to some of the GIANTESSES of science 🙂 Here is a list of fifteen Nobel Laureates in Chemistry, Physics, and Physiology or Medicine. They are all women. How many names do you recognise? Marie Curie, née Sklodowska — Physics 1903 AND Chemistry 1911 – Curie was a woman of many ‘firsts’, and remains the only person history to be awarded a Nobel in two different sciences. Her first prize was shared with her husband Pierre and Henri Becquerel and was for their work in radioactivity. Her second prize was awarded to Curie alone, in honour of her work on the radioactive elements that she discovered – Radium and Polonium. Curie also demonstrated that the x-rays produced by the decay of radioactive elements could be used to treat tumours. Iréne Joliot-Curie — Chemistry 1935 – Joliot-Curie was the daughter of Pierre and Marie Curie (see above). Carrying on a remarkable family tradition, she shared the 1935 Chemistry prize with her husband Frédéric Joliot for “their synthesis of new radioactive elements”. This work eventually led another group to discover nuclear fission – the basis of all nuclear power plants. Gerty Cori, née Radnitz — Physiology or Medicine 1947 – Cori shared her prize with her husband Carl and Bernarco Houssay. They discovered the mechanism by which glycogen—a derivative of glucose —is broken down in muscle tissue into lactic acid. Their discovery of the Cori Cycle continues to impact athletes a sports-people, the world over. Maria Goeppert Mayer – Physics 1963 – Mayer shared her prize with two others “for their discoveries concerning nuclear shell structure”. Mayer’s model was the first to prove that electrons orbit in “shells” (or orbitals) around an atomic nucleus, a discovery that changed chemistry and atomic physics. Dorothy Hodgkin — Chemistry 1964 – Hodgkin was the sole recipient of the Chemistry prize in 1964, for using x-ray imaging techniques to determine the structures of “…important biochemical substances”. This includied B12, a vitamin which plays a key role in the brain and nervous system, and in the formation of blood. Rosalyn Yalow — Physiology or Medicine 1977 – Yalow shared her prize with two others, and was awarded for her development of the radioimmuniassay (RIA) technique. Her discovery went on to revolutionise research and medical practise, and is still the main technique used in blood banking, the diagnosis of allergies and endocrinology (hormones). Barbara McClintock — Physiology or Medicine 1977 – McClintock was the sole recipient of the 1977 prize, and it was awarded for her discovery of genetic transposition, a process by where DNA sequences can move from one location on the genome to another, causing mutation. This work has gone on to change how cancer genes are identified. Rita Levi-Montalcini — Physiology or Medicine 1986 – Levi-Montalcini shared the 1986 prize with her colleague Stanley Cohen, for their discovery of nerve growth factors – proteins important for the growth, maintenance, and survival of certain neurons in the body. This work may offer a potential route to treat neurodegenerative diseases such as Alzheimer’s. Gertrude Elion — Physiology or Medicine 1988 – Elion shared the prize with two others, for their work on drug treatments. Some of her inventions have gone on to be used in the treatment of malaria, leukaemia, herpes, gout and meningitis. Christiane Nüsslein-Volhard — Physiology or Medicine 1995 – Nüsslein-Volhard shared the prize with two others, for their work on the genetic control of embryonic development. Her experiments were based on fruit flies but are directly relevant to identifying the genes vital to human development in the womb. Linda Buck — Physiology or Medicine 2004 – Buck shared her prize with one other scientist, for their “discoveries of odorant receptors and the organization of the olfactory system”. Buck’s research targeted the genes that define a mammal’s sense of smell. Françoise Barre-Sinoussi — Physiology or Medicine 2008 – Barre-Sinoussi shared her prize with her colleague Luc Montagnier, awarded for their joint discovery of HIV. She went on to develop the diagnostic test needed to identify the disease, and continues to work on the treatment of the virus in developing countries. Elizabeth Blackburn and Carol Greider— Physiology or Medicine 2009 – Blackburn and Greider shared the 2009 prize with another colleague, Jack W. Szostak. It was awarded for their discovery of telomere, a structure at the end of chromosomes that protects it, and for their discovery of the enzyme telomerase. Telomerase plays a role in ageing, cancer, heart disease and diabetes. Ada Yonath — Chemistry 2009 – Yonath became the first female recipient of the chemistry Nobel in 45 years, when she shared the 2009 prize. Her work determined the structure of the ribosome – a large and complex molecular machine, found within all living cells, that creates proteins. She continues to work on providing access to antibiotics for people in developing nations. The only blot on this otherwise shiny landscape of great science produced by great women is that this is not a select list of my favourite female Nobel Science Laureates. This is a list of ALL of the women who have ever been awarded a science Nobel Prize. … Leading to a grand total of 556 science Laureates awarded between 1901 and 2012. And on only 16 occasions (because Marie Curie won TWO), those recipients have been women. 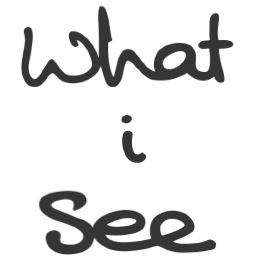 Ladies, it looks like we still have plenty of work to do….. Maybe you can start by contributing to the fantastic What I See project – http://whatiseeproject.com/submit – upload a video or image, share your story, or send a tweet. Your voices are needed! And please keep checking the site – there are some amazing, inspirational women on there – you don’t want to miss out on what they have to say. One of the ongoing problems which links this and your previous article, is how credit is given to scientific progress. Imposter syndrome still has a very real impact on women hoping to progress within science now, partly because our culture generally does not encourage self-publicity, even when it’s completely justified. An old school example of this is Florence Nightingale. While she is revered for her work in reforming medical practices; what is less well known is how talented she was at mathematics, using statistics to report on the medical care (she has her own diagram!) http://en.wikipedia.org/wiki/Florence_Nightingale#Statistics_and_sanitary_reform. Resultant message being – it’s OK for a woman to dabble in the caring professions but we’ll brush over her scientific contributions. So while we’re looking in the mirror, and seeing the good stuff, the next step is to all get better at talking about what we’ve achieved (collectively and individually). And I think a blog is a fantastic way to get started. I’m embarrassed to say I wasn’t aware of some of the more recent Giantesses (now am rectifying)! One thing that jumps out at me from even that very short list of female Noble Prize winners is that eight of the last nine are in Medicine – and you could also argue that Ada Yonath’s work is more relevant to medicine than any other field (and since this is a science-oriented blog, we won’t even go into the complete absence of winners in Economics, Literature or Peace for now…). This bias towards medicine seems to tie up with what we see in everyday life – female doctors are commonplace and accepted as the norm, but a woman saying she’s an engineer, chemist or a physicist still raises eyebrows. There has been substantial debate over the years regarding Rosalind Franklin’s contribution to science and subsequent lack of recognition, for example, but I suspect there are plenty of other less well-known stories.